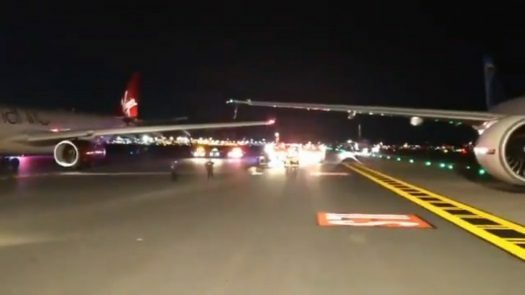 The FAA is investigating an incident in which a plane clipped wings with another plane while taxiing at New York’s John F. Kennedy International Airport last night. 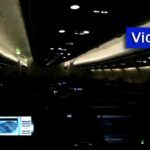 According to the FAA, the right wing of EgyptAir Flight 986, a Boeing 777 headed to Cairo, touched the left wing of London-bound Virgin Atlantic Flight 4C just after 7:00pm on Monday. There were no reports of any injuries. 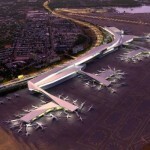 The Port Authority of New York and New Jersey says both planes returned to the terminal. The Virgin Atlantic, an Airbus A333, had to be towed. 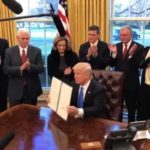 Trump Bans Citizens of 7 Muslim Countries from U.S.